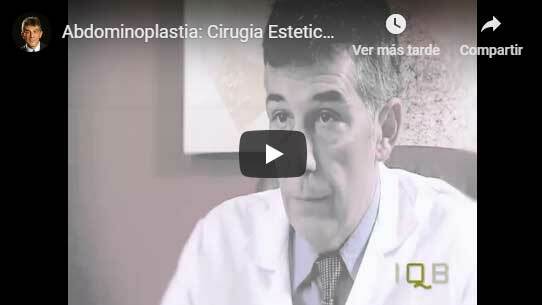 Dr Puig explains in this video about the abdominoplasty and its results. Procedure: Excess skin and fat are removed from the abdominal area. Duration of Surgery: Approximately 2 to 4 hours. Type of anaesthesia: General or Epidural. Hospitalization: Hospital admission and discharge in 24 - 48 hours. Recovery: Analgesics and compression bandages. Back to work 2-4 weeks. Fat buildup, loss of firmness and excess skin can be corrected with a tummy tuck procedure that gives your skin a smoother, firmer look and healthy, thus achieving a flatter abdominal wall and a narrower waist. Dr Julio Puig is a recognized expert in this abdominoplasty intervention in Valencia. What is not an abdominal surgery? A tummy tuck is not performed as a substitute for weight loss or an appropriate exercise program. Although the results of abdominoplasty are permanent, the positive result can be greatly diminished if significant fluctuations in your weight occur after. For this reason, for those who are considering getting a substantial weight loss, or women who may be thinking about future pregnancies, would be advised to postpone this procedure. An abdominoplasty is also not a surgical technique that is recommended to remove stretch marks, although these can be eliminated if they are in the areas of excess skin that will be excised. Is physically healthy and maintains a stable weight. Has realistic expectations of what can be achieved with the operation. He or she is a non-smoker, or at least stops when the surgeon tells you to do so. Really the shape of his abdomen causes discomfort and worry. Abdominoplasty, as well as any other surgery is a very personal procedure, and therefore the person who is thinking about it, should do it by itself, not to fulfill someone else’s desires or to get any type of ideal image. The person who is thinking about it, must decide whether the benefits he/she will achieve match their goals, as well as risks and potential complications of tummy tuck are acceptable. The surgical goals of abdominoplasty. In addition, we will evaluate your general health conditions or pre-existing risk factors, take photographs, discuss possible options or types of abdominoplasty more suitable to achieve your goals, other alternatives non surgical procedures, the possible outcome of tummy tuck and any potential risks or complications. It is very important to understand all aspects of this surgical procedure. It is natural to feel some anxiety, whether it is emotion because of your new look or a little preoperative stress. Do not be shy about talking about these feelings with your plastic surgeon. After the initial examination, Dr. Julio Puig will explain you what the tummy tuck or abdominoplasty procedure consists of, if you need preparation and how it is the recovery. Stop taking certain medications or adjust dosages. Abdominoplasty: Abdominoplasty is a surgical procedure that removes excess skin and fat from the middle to the lower abdomen. It is especially aimed at patients who have experienced weight gain and subsequent loss, as well as women who have had several pregnancies. In all cases there is a general sagging of the skin of the abdomen, related to that of the muscles. The Surgery: Excess skin and fat are removed from the abdomen. Liposuction of the fat accumulated in the flanks can be performed in the same operation. Result of Operation: There will be a scar on the lower abdomen that will fade over time. Surgical Intervention: The operation is performed under general or epidural anesthesia, and has an approximate duration of 2 to 4 hours. Recovery: During the following days after the operation, moderate discomfort persists, for which the doctor prescribes analgesia to alleviate the discomfort. A compression bandage is placed as well as tubes to drain fluids. Recovery time is usually 15 days. Tips for a quick recovery: Avoid sudden movements and exercises. Perform exercises to strengthen and tone the abdominal muscles. During recovery, dressings and bandages can be applied to the incisions, which can be wrapped in an elastic bandage or a compression band to minimize swelling and support the abdominal wall while you heal after surgery. Small, thin tubes can be temporarily placed under the skin to drain any excess blood or fluid that may accumulate. Medications to take to decrease postoperative pain, help healing and reduce the possibility of infection. It is important that in the visit to the surgeon after the intervention, you ask what you can expect during your recovery period of surgery. If you want to know more in depth details (tummy tuck or abdominoplasty price in Valencia, techniques that can be performed, photos or explanatory drawings of the surgical procedure), make an appointment in our clinics of Valencia or Gandia, and we will attend you with total confidence, without commitment and under the strictest confidentiality. And if you prefer, we’ll call you. 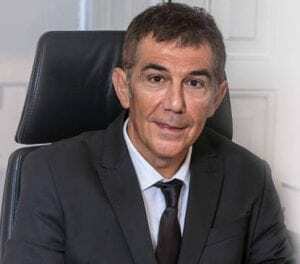 You can see in the photos that follow several before and after cases of patients who have been operated on for abdominoplasty in Valencia in the clinic of Dr. Julio Puig. When you as a patient ask us about the price of an abdominoplasty surgery, you must bear in mind that for us the most important thing is your health and that in any case, the final price of the breast augmentation operation depends on the personal characteristics of each patient. Remember that the first consultation is free and it is much more effective to speak personally with the surgeon. Call us or make an appointment in our clinics in Valencia or Gandia and we will attend you with total confidence, without commitment and under the strictest confidentiality. And if you prefer, we’ll call you. Tummy Tuck, Liposuction, Thigh Lift.